It’s a long first step out that front door. Maybe a ladder would help? I vote for a diving board! Someone suggested it might be a loading dock … but if so, the door is awfully narrow. Looks to me like the steps went away and they just never bothered to replace them 🙂 I hope the door is sealed! Thanks 🙂 I never won anything before. A first!! Woo! Then it’s double exciting! Plus– books! Yay! Heh heh. Oops! A small imperial/metric conversion error possibly? Maybe they meant to but could figure out how? Put a plank up and it’s Captain Hook all over again! Great response to the prompt. I didn’t notice the lack of steps until I read what you said. 🙂 And congrats on winning the yeah write drawing, too! Pingback: Weekly photo challenge: Unexpected | Welcome to allaboutwordswa! I had a friend back in St. Louis with this exact setup. His insurance company threatened to cancel his policy if he didn’t get a staircase installed. I’m a carpenter/woodworker so I volunteered to build him his backdoor landing, complete with staircase and handrail. Poor Pete couldn’t drive a nail or use a saw if his life depended on it but he was one hell of a mechanic so we traded our skills. I built his deck and he maintained my car. Everyone was happy. I really wish it would be in my power to visit you. I’m sure we would have a thousand things to talk about. I pray you & your family will have a great Thanksgiving. We shall do our best 😉 Hope you’ve got some good plans for the holidays too! Pingback: Weekly Photo Challenge / B4 Retouch: Unexpected (Karnak) | What's (in) the picture? So funny! 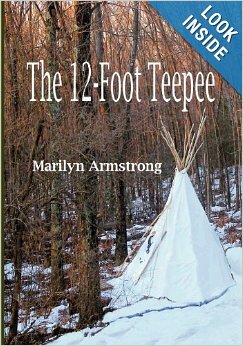 Watch that first step , it’s a doozy : )) Hope you are well Marilyn ! I’m definitely better. Not entirely frisky, but much better. Getting ready for the marathon holidays. That is even better and you look marvelous in red! Good eye on this one!!! I passed that place — parked in front of it for the deli next door — for years without realizing the door had no stoop. So maybe not such a good eye. Until I had the camera in my hand, I didn’t see it. My very BAD. A step stool at least! That looks like a broken ankle — at least — to me! I always wonder why they don’t put the steps back. Maybe they decided they need the parking space more than steps? Yeah, it does look like an accident waiting to happen. I can feel my ankle breaking just looking at it! Pingback: Walking Through The Beach At Half Moon Bay | Not the Family Business! Next Next post: DAILY PROMPT: PLAYTIME!